Established just more than a year ago the Bethlehem Aero Club currently has almost forty members and since its birth the number of hangers on the "General Aviation" side of the field has almost doubled and so has the number of GA Aircraft based at the field. The clubhouse with its upper deck is currently being renovated and enlarged and club members have paved the taxi ways between hangers. The field now has a dedicated manager and maintenance staff and is always in perfect condition. The lawns between the hangers are neatly trimmed and flower beds abound. The airfield that is on the edge of town and within walking distance of a modern shopping complex and casino boasts two runways; 11-29 tarred with landing lights is 1,100 meters long whilst 13-31 is grass, 1,360 meters long and 45 meters wide. Co-ordinates are 28.14.59 S 28.20.10 E and both Avgas and JetA1is available. The town boasts a large number of guesthouses for visitors that wish to overnight. Situated in the Eastern Free State with its breath taking scenery Bethlehem is just a short hop away from the mountain Kingdom of Lesotho and the majestic Maluti Mountains. The range forms a high alpine basalt plateau up to 3400m in height. 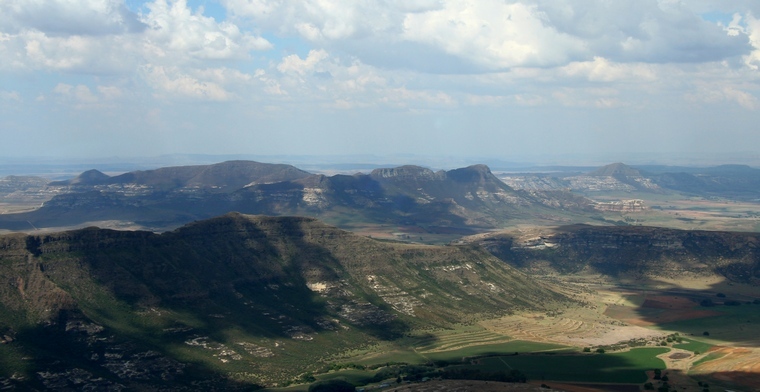 The highest point, 3482 m high Thabana Ntlenyana, is located in the north-east of the range. It is the highest peak of Southern Africa, and the highest in Africa south of the Kilimanjaro. Nestling in the Malutis are the towns of Clarence, the jewel of the Free State, Ficksburg, the Cherry Kingdom, Clocolan and Fouriesburg as well as the world renowned Golden Gate Highland Park. Located in north eastern region, at the foot of the Maluti Mountains the Golden Gate Highlands National Park with its imposing sandstone peaks and highland habitat sustains a great variety of animals and birds, including the rare bearded vulture. Lodges abound, some sport their own runways like this Castle perched on the edge of a precipice whilst others can only be reached by road. 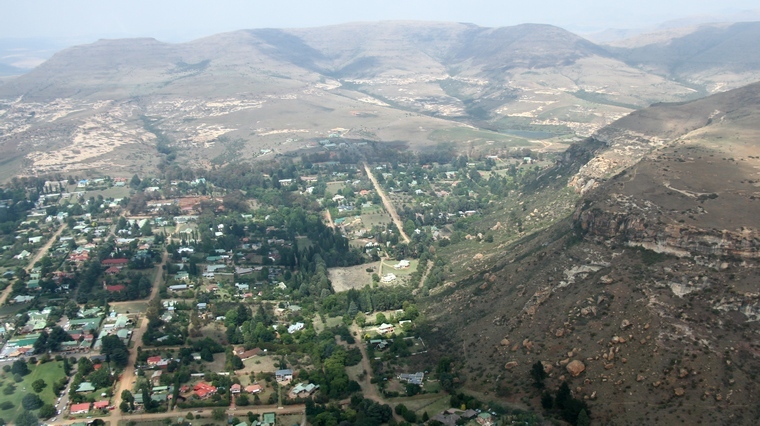 Clarens is endowed with more trees than most other Free State towns - the fresh, light green willows and colourful blossoms of the many fruit trees are an unforgettable sight in spring time; whilst the magnificent autumn shades of the lombard poplars attract artists, photographers and nature lovers. The town is known for the many Art and Craft hops which offer the visitor a wide range of curios and original artwork. Little wonder then that the club organise regulars fly outs during weekends and during our visit eight aircraft and 19 members flew to Zuiderkop Game Lodge for breakfast where the ladies were spoiled to a spa treatment. 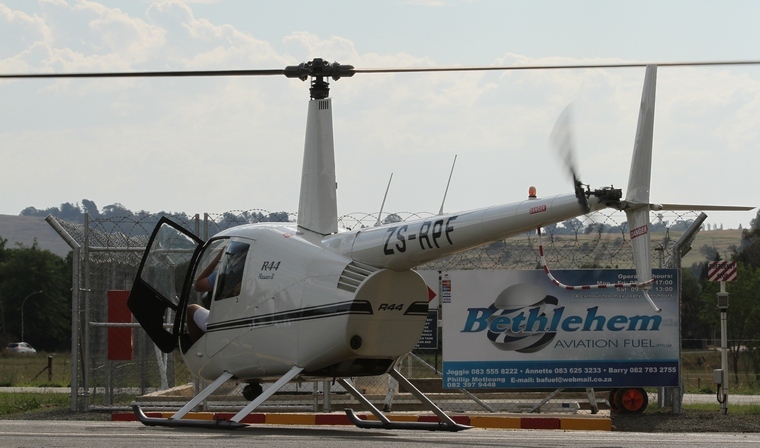 Bethlehem is situated within easy flying distance from most of the major centres and the Club will during 2015 host the following events for those that wish to explore and experience what is arguable one of the most scenic parts of our wonderful country. 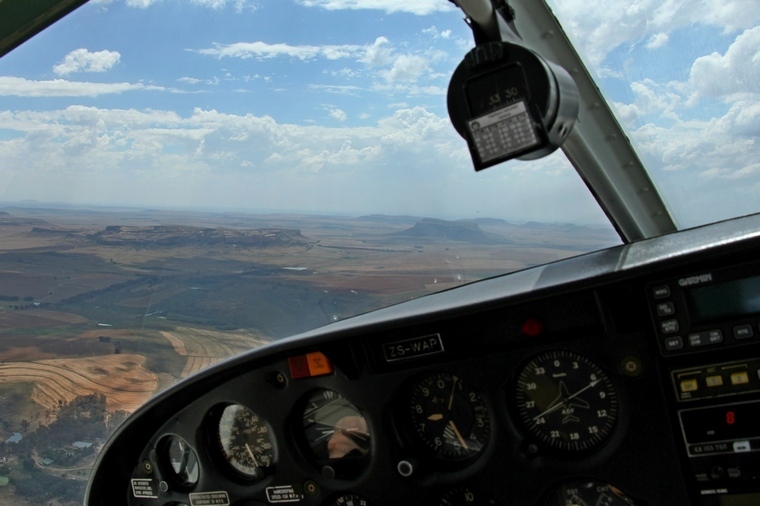 29 August, Bethlehem Aero Club fun navigation rally. 31 October, Bethlehem Aero Club fly-in and hangar dance. Be sure to diarise these dates and visit for an unforgettable weekend amongst the most hospitable people and one of the most vibrant clubs exploring the jewels of the Eastern Free State. Contact Izak Venter e-mail: izak@motsu.co.za or Francois Marais e-mail: info@stanfra.co.za for more information.